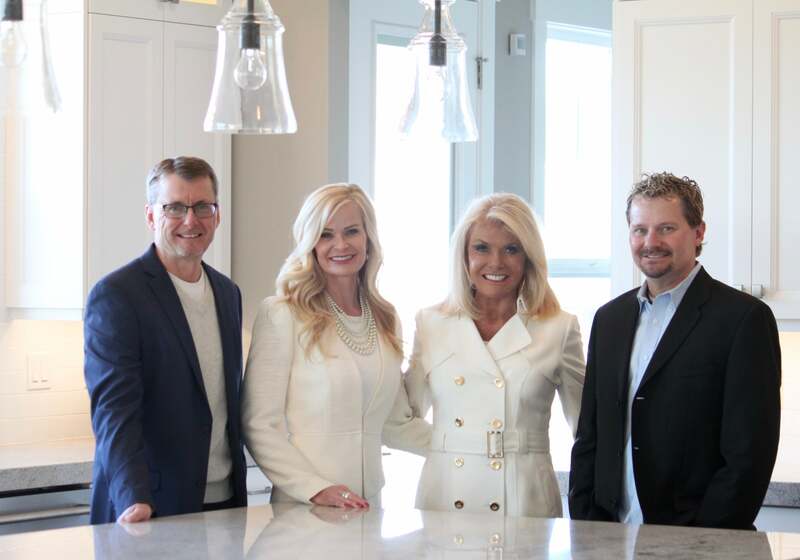 We found this great article on Utah written by Pip Coates, of the “Financial Review” in the Life and Leisure Section, published August 10, 2018. Utah is a pretty great state to live, work, and raise a family in so we thought you would enjoy it as well! Adventures begin with a map and a plan. Or so says the governor of Utah, Gary R. Herbert. Although it’s unlikely he came up with the line himself, it’s a smart way to approach this western US state – home to 14 world-class snow resorts and the Mighty 5 national parks. With so much spectacular natural diversity, it would be a sin to go there and do just one thing.And why do two things when you can do three? Time a trip for late January, when Robert Redford’s annual Sundance Film Festival is on, and a hat trick of skiing, cinema and scenic canyons is entirely possible. Redford launched his film festival in 1981 from the Sundance Mountain Resort he founded 12 years earlier. Mr Redford, as staff still refer to him, wanted to balance art, nature and community at his sophisticated hideaway, less than an hour’s drive from Salt Lake City and worth visiting for its heritage architecture, restaurant, artist workshops and walls of photographs from the festival’s early days. Plus, it’s a ski resort. During the festival many stars stay at Sundance, especially if their movie is showing in its 130-seat theatre. The 10-day festival shows almost 200 films across multiple theatre venues in Salt Lake City (perhaps best known as the spiritual home of Mormonism) and the nearby former mining town of Park City. In the latter, the quaint main street is transformed as retailers sub-let their shops to the likes of Amazon, IMDb, Dell and Twitter for private parties and sponsor hosting. The vibe is lift pass meets film pass; ski grunge meets celebrity glam. Best celebrity spotting après ski is done from High West Saloon, No Name Saloon and Grill on Main Street. Among the full-length furs and oversized sunglasses spied this year were Idris Elba, Maggie Gyllenhaal, Nicholas Cage, Ethan Hawke, Jason Segel and Naomi Watts.The fun thing to do is ski Park City, Utah Mountain Resort or Deer Valley, Utah in the morning and attend a world premiere movie in the afternoon, followed by a Q&A with the director and cast. The slopes are largely deserted because most people are in town to watch movies. You’ll pay for this exclusivity in high accommodation rates, but a work-around is to stay half an hour away, at the Zermatt Resort in Midway, and catch the free shuttles to Park City. There are eight snow resorts within an hour’s drive of Salt Lake City and a Ski City Super Pass buys access to four of them: Alta, Snowbird, Brighton and Solitude. 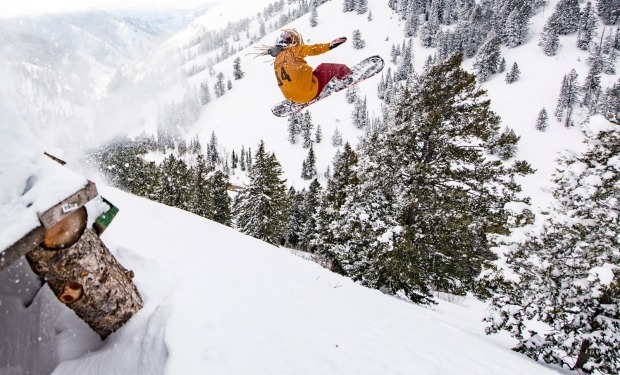 Alta is a skiers-only resort and Snowbird has Utah’s biggest vertical drop and plenty of advanced terrain. Skiers-only Deer Valley, known for its top-shelf mountain service and corduroy slopes thanks to twice-daily grooming, has capacity for 20,000 skiers but limits numbers to 8500 a day. 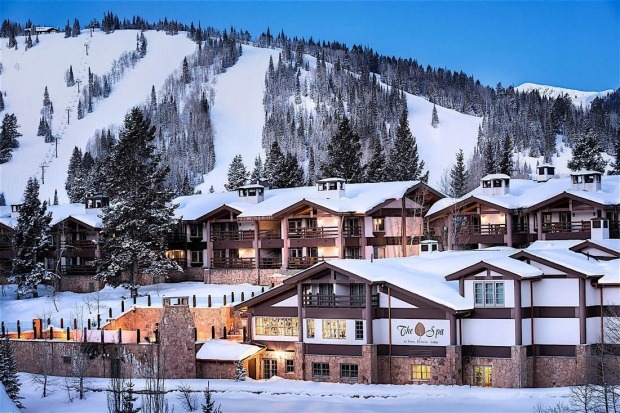 Add to that the plummy St Regis Hotel, Stein Eriksen Lodge and sumptuous private residences that line the lower slopes, and you get the gist. It’s exclusive, and awesome to ski.Park City Mountain Resort and Canyons are in the Vail Resorts family, having combined in 2015 to create the largest single ski and snowboard resort in the United States.Powder Mountain is owned by a young group of millionaire entrepreneurs, who recruited drawcard names including Richard Branson, PayPal co-founder Ken Howery and author Tim Ferriss to build houses there. Part of Powder Mountain’s exclusivity is a daily limit of 1500 skiers for access to 404 hectares of terrain.One activity to guarantee Instagram likes is the Interconnect Adventure Tour, a guide-led group expedition that takes advanced skiers through four to six resorts in one day without needing to remove skis. Taking in Deer Valley, Park City Mountain Resort, Brighton, Solitude, Alta and Snowbird, the tour covers about 24 kilometres plus some back-country hiking. It’s a pretty cool box to tick. After overdosing on snow and celebrities, it’s time to pack your supersized rental MAV (known locally as Mormon Assault Vehicle because Mormons have big families) and head for the warmer climes of southern Utah.Less than four hours out of Salt Lake City, Utah is Capitol Reef National Park, where harsh rocky wilderness and orchards of stone fruits, pears, apples and nuts coexist.A stay at Cougar Ridge Lodge, owned and built by colourful local multimillionaire Gary Bagley, 72, will give you a taste of Utah country hospitality. “If you don’t have 40,000 rounds of ammunition and a gun cabinet full of weapons, you’re not a local,” he declares, pouring cocktails by a roaring fire before dinner is served. “This place is high end, but we want people to be comfortable,” he says of his 16-hectare resort. “I don’t want it to be an Amangiri, I want it to be a place where people can get to know this area in a down-to-earth way.”This might include fly fishing, canyoneering, all-terrain vehicle trips, wakeboarding on Lake Powell, horse riding or a ten-pin game in Bagley’s underground bowling alley.From Capitol Reef, the aptly named Scenic Byway 12 winds west for 200 kilometres to Bryce Canyon National Park, 2750 metres above sea level. (The route takes you over Boulder Mountain and alongside the Grand Staircase-Escalante National Monument, more than 4000 square kilometres of stepped rock layers, arches, plateaus and cliffs, and Dixie National Forest, a landscape of aspen, pine, spruce and fir, lakes and streams. Opportunities abound to turn off the road and take a hike. 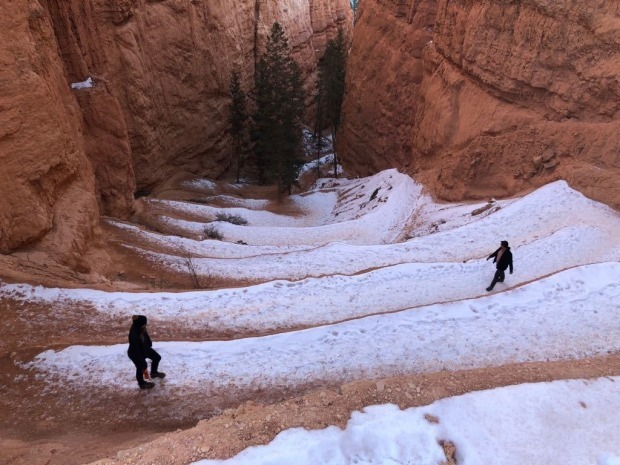 )The best way to appreciate Bryce’s natural amphitheatre of cliffs and bizarre pink and orange rock formations, called hoodoos, is to hike down into the canyon. In winter, there are few other hikers, and no car traffic at the top; standing in silence among the snow-draped hoodoos and 5000-year-old Bristlecone pines is magical. 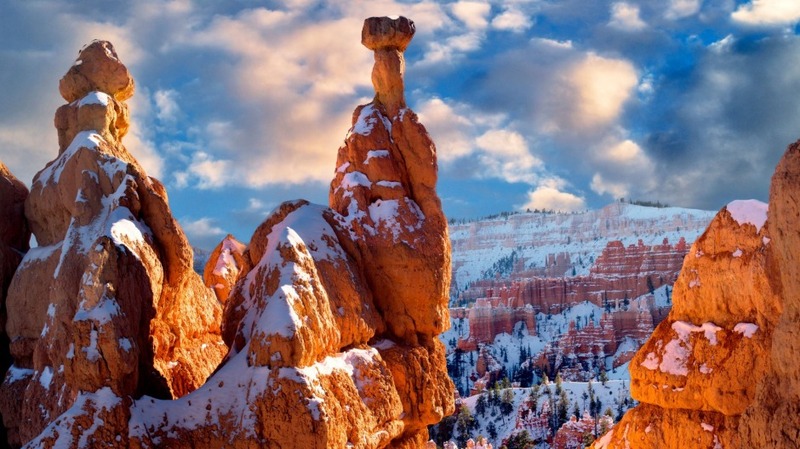 About 90 minutes south of Bryce, almost on the Arizona border, is the town of Kanab, Utah. 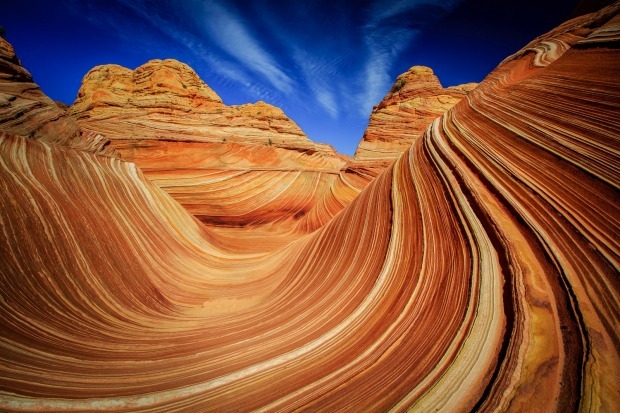 It’s a slight detour on the journey to Zion National Park but when you’ve come this far into America’s wild west, you’re also close to the Wave, a prehistoric sandstone rock formation named for its stunning shape in the Paria Canyon-Vermilion Cliffs Wilderness Area.Only 20 people a day are granted access to this internationally renowned hiking destination – 10 from a tension-filled daily lottery draw in Kanab’s Grand Escalante Visitors Centre, and 10 from an online lottery entered months ahead. Your best chance is in January, which rangers say is the least busy time. In summer, the record at the visitors centre for one day stands at 400 applicants for 10 permits. The lucky few who win a permit to enter this otherworldy place must follow a photo-guide map for the four-hour return hike because there are no signposts and no mobile reception.A stay at the Grand Circle B&B, with lashings of comfort food prepared by former Amangiri head chef Shon Foster and his family, will ease the disappointment from missing out on a Wave permit, as will a two-hour hike into the nearby Peekaboo Slot Canyon with Forever Adventure Tours. The canyon’s twists and turns of towering red rock adorned with ancient Indian petroglyphs and pictographs, and the exhilarating seven-kilometre 4WD dune drive to get there, are worth the cost of $US250 for five people.About 30 minutes’ drive west of Kanab is the eastern entrance to Zion National Park. Here, you can stay in a stylish self-contained cabin at Zion Mountain Ranch, take a guided horseback ride through pinion pines to the edge of the canyon, and dine on home-grown bison kebabs, pheasant, corn muffins and winter vegetables at the ranch’s Cordwood restaurant. Sign up at the nearby Zion Ponderosa Ranch Resort for an abseiling adventure at the Huntress canyon.The drive through Zion National Park is mind-boggling. From March to October, access into the canyon is restricted to shuttle buses that depart from the town of Springdale at the park’s western entrance. 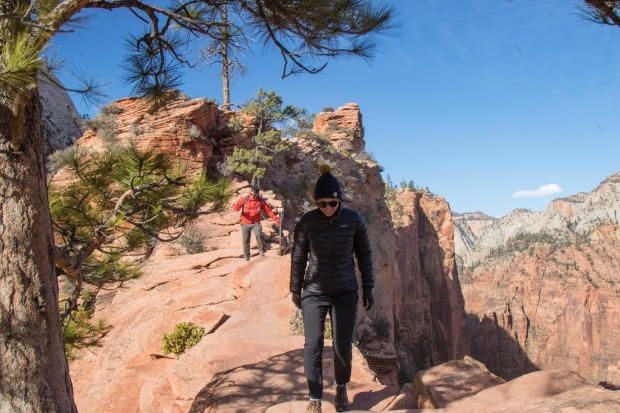 The numbers tell the story: in January 2017 there were 90,000 visitors to Zion. In July there were 578,000.Unlike Bryce Canyon, Zion is accessed from the canyon floor, so the drama is happening above and around you; two standout hikes are Angels Landing and the Narrows.The former is a somewhat strenuous 8.7-kilometre round trip, the halfway point of which is Angels Landing, 460m above the canyon floor and reached in the hike’s final stages by a knife-edge climb that requires holding onto chains. But the rewards are stunning 360-degree views and the chance that a California condor will fly past. 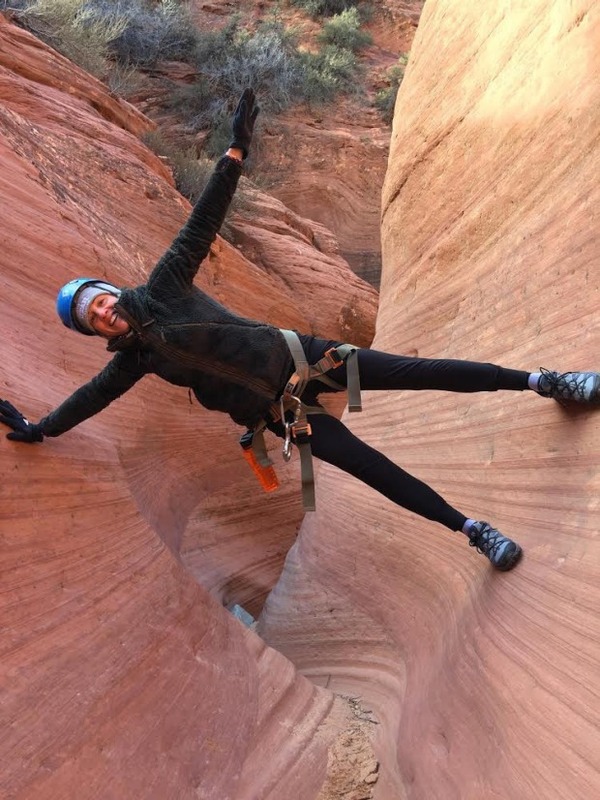 It’s like being on a suspended island in the sky.The Narrows requires hiring a dry suit because it’s an out-and-back river hike up the North Fork Virgin River between 300-metre high walls of naturally sculptured Navajo sandstone. In winter there’s virtually nobody there to clutter up your photographs as you wade through sometimes knee-deep water, feeling very small indeed. 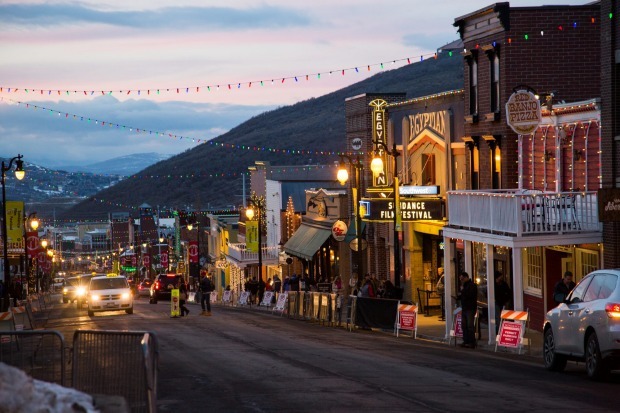 Sundance Film Festival 2019 January 24 to February 3. Single tickets go on sale online on January 22, 2019 and festival passes from October 18.